Primarily Petroliana is a community bringing gas station antique collectors, dealers, publishers and service providers together for the benefit of all. Interact with other enthusiasts in our Shop Talk forum classifieds and collector roster. 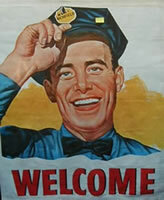 Information about events, collectibles, publications and petroleum history. 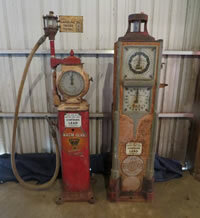 We have resources specializing in old gas pumps, porcelain signs and other petro collectibles. 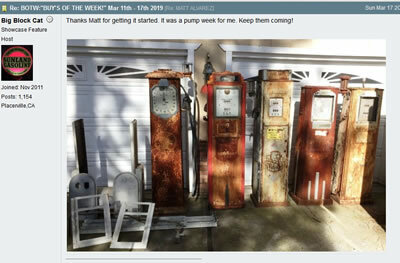 We discuss gas pump restoration techniques and concerns with unmarked reproductions, buy and sell with no fees, find parts for vintage gas pumps, work with one another to find ways to ship large petro collectibles across long distances. 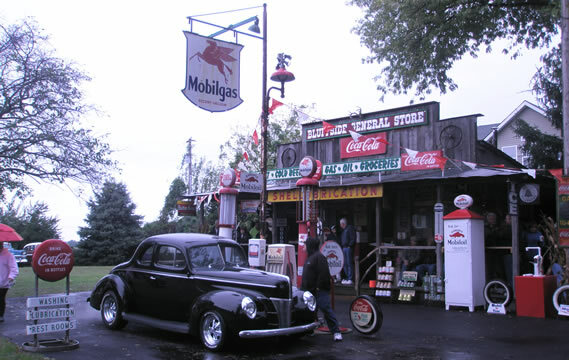 If you are interested in gas station and auto service memorabilia, what are you waiting for? Join up for free and start participating in sharing experiences & knowledge, the enjoyment of the hobby and no fee buying and selling.